If you haven’t heard the news recently, the Angry Russian, or Alex Tsatkin has recently been acquired by Matomy and will soon be expanding the mobile division at MediaWhiz in NY. I have been in this industry 7 years and I am always amazed at the growth that a single affiliate can do. Starting from a job dweller to an owner of a company to being acquired. I feel this is the only industry to which that can happen. Knowing Alex for a good few years, I reach out to him and ask if he would like to discuss his current success. I sent him a couple questions and below are his answers. Alex, Please do a quick introduction of who you are and where you started prior to your recent merge with Matomy. Hi, my name is Alex Tsatkin, but some of you know me as “The Angry Russian.” I’ve been in performance marketing for more than seven years. I started at an SEO agency, then became a full-time affiliate; had a stint at Tracking202. Most recently, I founded MobAff, a mobile-focused network and tracking solution recently acquired by Matomy Media Group (a global performance marketing company). MobAff will be integrated into performance media company MediaWhiz (Matomy’s North American hub) to form the company’s mobile division. Now, I have known you since the 202 days. Such great growth in our industry and you personally. What kept you going to do more and more and to then sell MobAff? Performance marketing is constantly changing, and I’ve enjoyed being part of the change. As technologies improve I think that pure arbitrage opportunities are going to be harder to come by. Mobile is a very fragmented landscape, ripe with opportunity, which is why I’ve been focused on that space for the past two years. The problem with mobile marketing is the spray-and-pray approach persists. I believe that by using technology we can serve the most relevant, highest-performing creative to specific users at all times, thereby reducing the wasted ad spend. A company like Matomy with its expertise and resources can help me achieve that goal. How long were you an affiliate prior to setting up MobAff? What type of traffic did you specialize in and why? I was a full-time affiliate for at least five years in my career. Affiliate marketing is a blessing that most people forget. Too many affiliates today focus on making money and forget that it is the freedom they are after. Armed with a Macbook Air I’ve traveled the world and haven’t had to answer to an alarm clock for a long time. I started with some SEO, but adapted over time and have made money in Search, Facebook, PPV, and most recently mobile. 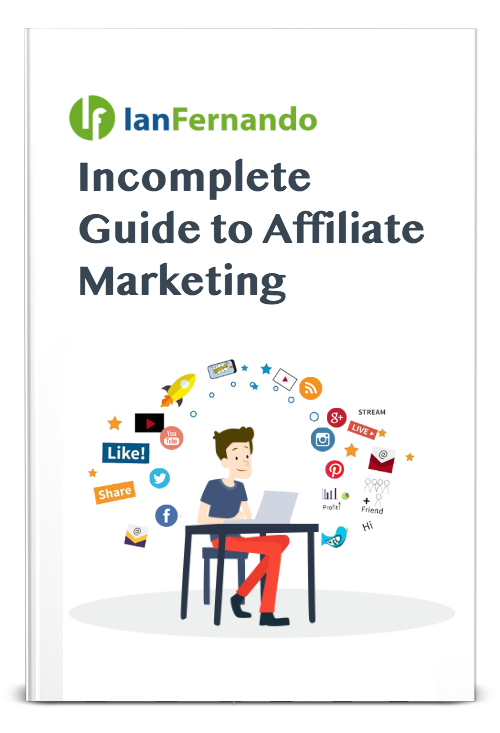 The best affiliates are both offer and traffic agnostic. Their goal is to find traffic and match it with the best converting offers instead of being stuck on just one source or one offer type. What got you into the mobile space, is it a trend you wanted to ride or because you think it is the future of advertising? It is 100% the future of advertising. PC sales are dropping; same for laptops. Phones are getting smarter and bigger and now compete with other devices. Most consumers really don’t need a laptop, as all they do is text, call, check Facebook and the weather, get directions, etc. In other words, they use mobile for quick bursts of information or to complete short actions. Mobile is still so fragmented with so many players trying to take over the space from carriers, from manufactures to platforms. No one knows who is going to come out on top. Either way, it is going to be interesting and exciting. I personally have tried mobile advertising and it seemed tough for sure. There are limited offers, so many third party traffic sources, so many media ad types, so many devices, etc. It does take a lot to decipher the data. Is mobile advertising easy to get into and should a beginner jump into this specific vertical? Mobile is not easy, but it is also very rewarding as it is harder to steal campaigns and less saturated. Some our top affiliates were introduced straight to mobile. The affiliates who come from Facebook, Search and PPV tend to do poorly because they have a lot of assumptions that hold them back. To succeed in mobile you must abandon your beliefs and accept the traffic source for what it is. That said, I have released tons of training material that can be found at mobaff.com/training to help mobile media buyers learn the basics and get profitable. To add even more value we’re giving away 1 million tracked clicks a month for anyone who uses our tracker. Simply sign up at tracker.mobaff.com today to get this great benefit. What is happening with MobAffTracker? Will it move to NY as well? Yes. Me and a majority of the MobAff team are relocating to MediaWhiz’s New York City headquarters. Some of our team will remain remote employees. In the short term nothing is changing; we are operating business as usual. Over time we will combine our various technologies to make publishing for affiliates even easier. With the growth of mobile advertising, do you think it is currently getting saturated? Multiple traffic sources keep popping up, mobile networks, etc. I think the opposite. Just like when Facebook was adding millions of new users, mobile is constantly growing, so supply is skyrocketing, and the number of people buying who know what they are doing are not able to keep up. The result is cheap inventory with few specialized experts making most of the money. The good news for any affiliate is that if you start today and commit you’ll still be light years ahead of most people when it comes to mobile. What is the best way for a beginner or even an experienced person to get into mobile advertising? I’ve mentioned our training and tracking solution; that is a great start. But when it comes down to it, don’t tip your toe in the pool; jump right in. Immerse yourself, try more than read, make mistakes, and find your own way to success. Congrats to your success again. Great to see the growth you have experienced through the years I have known you. What is the future looking like for you personally? Will you remain in the performance marketing space? Thank you, Ian, and thank you for the opportunity to do this interview. Right now, I’m excited to start working with MediaWhiz and Matomy and their experienced and determined people. My goal was always to find a partner that understands the same issues as I see them and who has the capability to help solve these problems. Stay tuned! There will be a lot of exciting things coming soon from MobAff. Alexander Tsatkin is the founder of the mobile affiliate network MobAff, which was recently acquired by Matomy Media Group. He now serves as the vice president and general manager of mobile at the performance media company MediaWhiz, a Matomy Media Group company. Previous articleInternet Marketing Collections, Do You Have Shady Data?